A damp Wednesday evening saw RMS on the road to Ballymena, Co. Antrim, for the NRC Drift Show. Students at North East Institute studying in the Motor Vehicle Department were given the task as part of their course to undertake the building of a car. The chosen vehicle was a 1991 Toyota Supra for drift and track use, and to promote this challenge, the college held a show and drift demonstration in its Farm Lodge Complex. Quite a few modified cars were parked in the “show and shine” area but the highlight of the evening was the drift demo laid out in the car park. 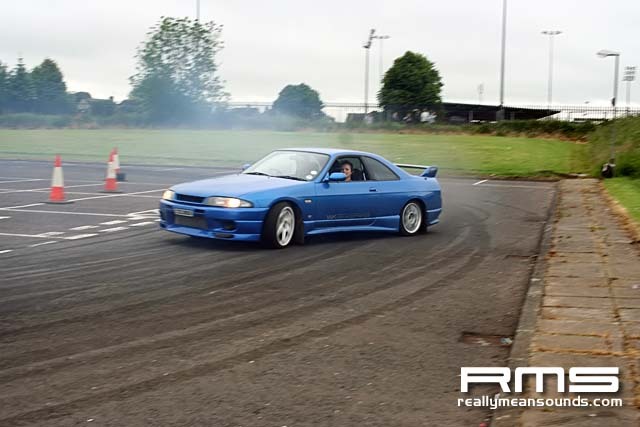 A few well known drivers took part in the action filled arena, including Alan McCord steering his Hi Octane Imports S15, Andy Cooper in his MM featured R33 Skyline and Mark Luney with his famous R32 GTR drift car. And when I say action filled, I mean third gear at 7000rpm, door handle to door handle in a tiny car park, while the crowds cheered on in amazement! As per most events there were prizes on offer and Mark Luney was the judge for the evening. 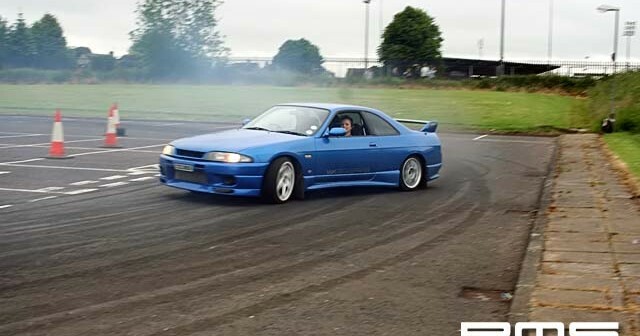 Our very own Andy Cooper picked up best driver in his R33 Skyline proving his skill in both wet and dry conditions, in what is essentially a high performance road car used for the rare drift outing. In the show and shine category first place went to Joe McCaughern with his immensely turned out Red S14a 200sx closely followed with Robert Patton’s White S15 Silvia whilst Jonathan Gordon claimed the final podium step with his black Civic TypeR.